Back in October 2007, I started OldField Studio, I can't believe that I have been in business for ten years. 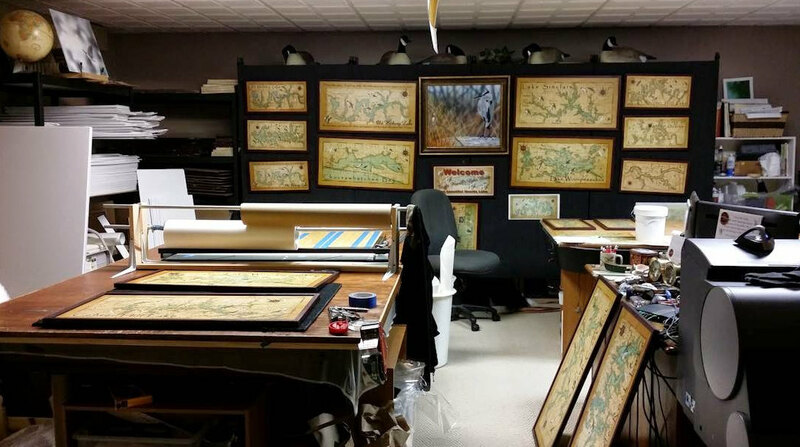 In the beginning, OldField Studio was focused only on wildlife art. I painted in acrylics on Masonite Art Board. 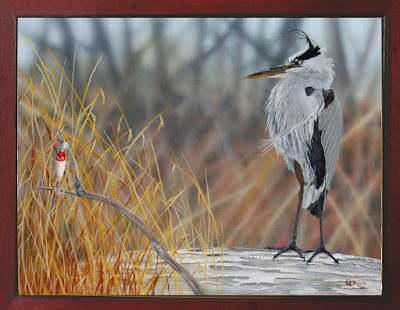 My art had a blurred background, which was done with an airbrush. This gave the picture a 3-D look. Folks enjoyed my wildlife art, but I discovered that the market was oversaturated with wildlife art, even though I did okay with it. During this time, I wanted a decor map of a river that I grew up on as a kid. After some research, I found that nice decor maps of waterways didn’t exist. 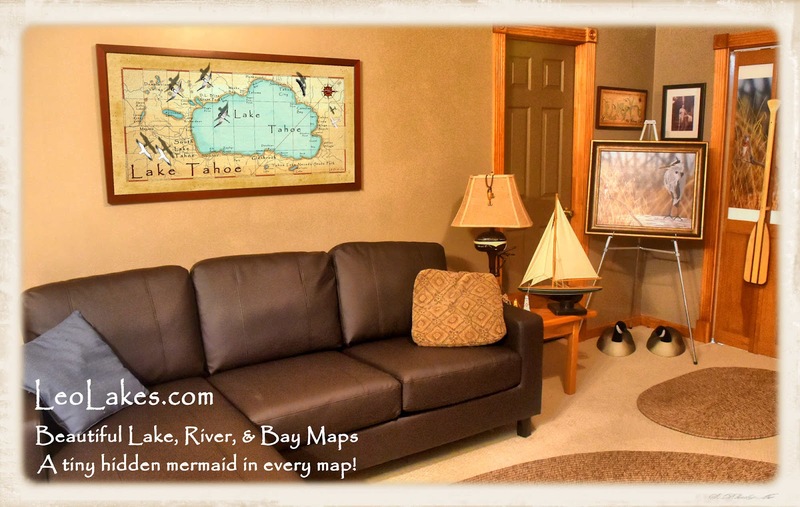 There were navigation, road, and topography maps, but not a really nice, vintage style lake, river or bay map that would look great hanging in a home or office. Luckily, with my artistic talent and creativity, I decided to paint my own map of that treasured river. I experimented with different colors and styles to finally settle on a vintage style that gave the painting a golden look. I added a few symbols such as the ruby meridian, wildlife and vintage plane. ﻿Once completed, I found that others liked the map so much that they asked for copies. This gave me the idea to paint additional rivers, lakes and bays for others to treasure their favorite waters. 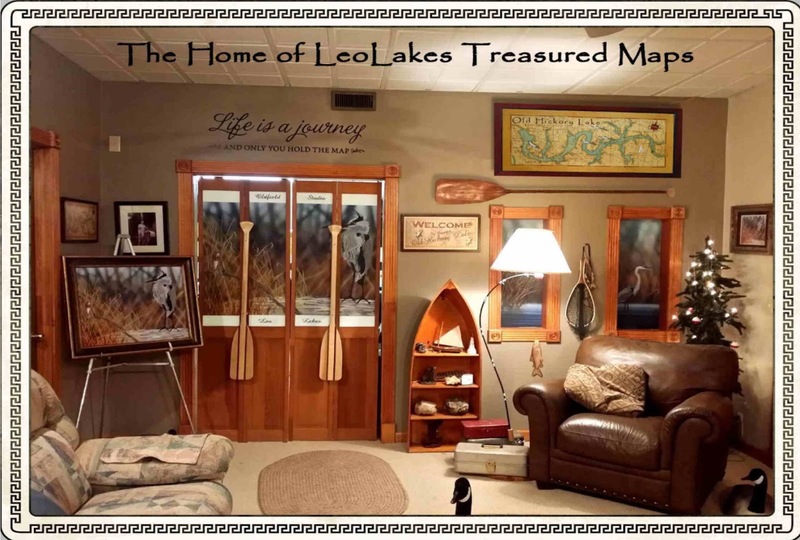 After a year and a half of experimenting, Leo Lakes Treasured Maps was born, which is part of Old Field Studio. It's hard to believe that its been ten years and I'm still in business. That's pretty much the story of Old Field Studio and LeoLakes in a nutshell. Hey, my maps make great Christmas gifts for the fisherman, lake lover, or Lake house owner. Orders are picking up during the holiday's, so order soon. Click here www.LeoLakes.com for more information.